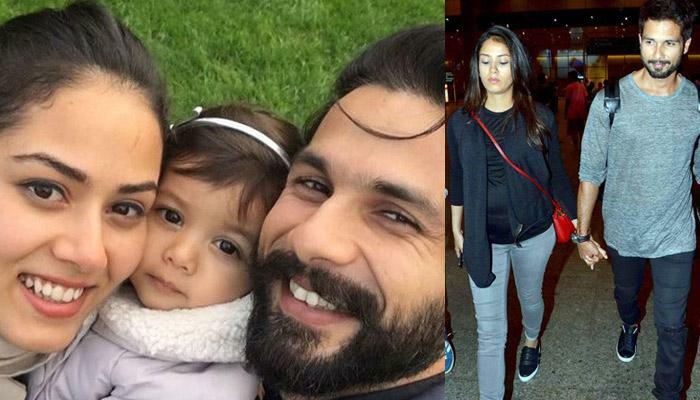 Mumbai: Actor Shahid Kapoor is elated that he is going to become a father for the second time, and says it was his and wife Mira Rajput's decision to break the news on Instagram. Shahid and Mira, who are already parents to 20-months-old Misha, shared a picture of their daughter alongside a caption, "Big sister," announcing they are expecting their second child. "I am very happy. We just felt like sharing it with everybody. Mira said she wanted to put it on Instagram, and I felt the photograph was really cute. So, it was a spontaneous decision and it just happened," Shahid said at the red carpet of Dadasaheb Phalke Foundation Awards here last night. The 37-year-old actor also expressed his happiness over the praise that younger brother Ishaan has been receiving for his debut film, "Beyond The Clouds". Shahid said Ishaan now needs to work harder with humility and grace. "It's a great weekend. There's a lot of happiness within the family and Ishaan has given a spectacular performance. He is getting love from everywhere. He is very deserving of all the applause. He is a talented boy. "Of course, he has just started. He has to work a lot, learn a lot and he has to work hard with humility. He has to put down his head and work," he added. The "Padmaavat" star said Ishaan is fortunate to be getting good opportunities in the beginning of his career. "It is a huge opportunity to work with Majid Majidi in your first film. To work with Dharma Productions and Shashank (Khaitan) in your second ('Dhadak') is something that he should consider himself fortunate. He is working really hard and I am proud of him," he said. As for his own upcoming films, Shahid is set to wrap up "Batti Gul Meter Chalu", which is being helmed by Shree Narayan Singh of "Toilet Ek Prem Katha"-fame, and also stars Sharaddha Kapoor and Yami Gautam.